As part of the 10th anniversary celebrations of “African Perspectives”, AfricAvenir Windhoek premieres the highly acclaimed documentary “Concerning Violence”, narrated by Lauryn Hill. From the makers of The Black Power Mixtape 1967-1975. 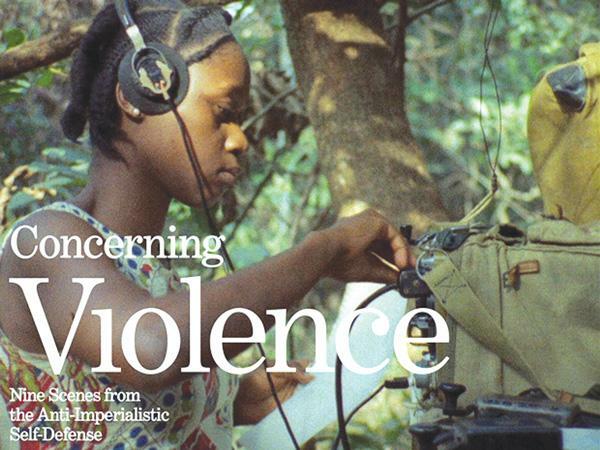 Concerning Violence (by Göran Olsson, USA,/Sweden 2014, 89 min) is a bold and fresh visual narrative on Africa, based on newly discovered archive material covering the struggle for liberation from colonial rule in the late ‘60s and ‘70s. Bringing this material into mainstream consciousness, Lauryn Hill re-narrates parts of Frantz Fanon’s epic tale ‘The Wretched of the Earth.’ Concerning Violence is both an archive-driven documentary covering the most daring moments in the struggle for liberation in the then so called “Third World”, as well as an exploration into the mechanisms of decolonization through text from Frantz Fanon’s The Wretched of the Earth. Fanon’s landmark book, written over 50 years ago, is still a major tool for understanding and illuminating the neocolonialism happening today, as well as the violence and reactions against it. African Perspectives, a monthly African Cinema series in Windhoek, organised by AfricAvenir since 2006, is supported by AfriCine, the Franco Namibian Cultural Centre, Goethe Institute Namibia, and Turipamwe Designs.